New Delhi, April 7: India will get 110 fighter aircraft for itself, the Ministry of Defence confirmed on Friday. The procurement of fighter aircraft for Indian Air Force was released by the Ministry of Defence. "Procurement should have a maximum of 15% aircraft in flyway condition and the remaining 85% will be manufactured in India under 'Make in India'," the Ministry of Defence said. Out of which, 75 per cent will be of single seat and rest to be double seat jets, the Ministry of Defence said. Ministry has issued a Request for Information (RFI) to procure fighter jets for the Indian Air Force yesterday. The RFI has sought information from original equipment manufacturers (OEMs) on the specifics of the aircraft for both single engine and twin-engine fighter jets. 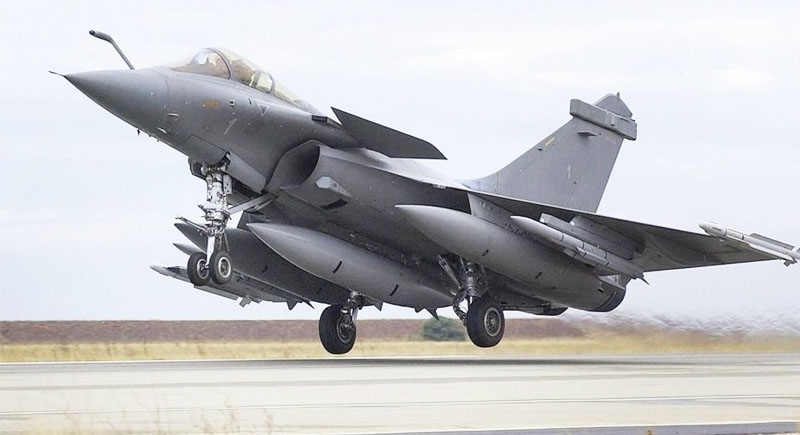 According to the RFI, India intends to purchase a maximum of 15 percent of the total 110 fighters in fly away condition and manufacture the rest 85 percent under the Make in India program, the RFI issued on Friday read. The total cost of the procurement could be between $15 billion to $20 billion dollars. The major contenders for the competition are likely to be American Boeing F/A-18 Super Hornet, Lockheed Martin’s F-16 V5, French Dassault Rafale, Swedish Saab’s Gripen, Russian MiG-35 and Eurofighter Typhoon. The new aircraft are intended to replace the IAF's MiG21 jets.